Top job seekers think a little differently than the unqualified candidates you’ve probably been getting. Despite the high unemployment rate, top candidates have a choice in where they work, and they’re being very particular about where they apply and interview. A big reason you aren’t getting qualified applicants is that you aren’t tailoring your recruitment process to appeal to those top candidates. You want to make it easy for a job seeker to apply. Here are four big reasons you’re not getting qualified candidates, and what you can do to remedy your mistakes. 1. Your job posting is poorly done. There are a number of reasons a top candidate would pass over your job posting: it never came up in their search results because you used a unique title, the opportunity didn't excite them, they weren't sure that they were qualified. Employers know that there is an excess of candidates in the job market right now and many don't feel that they need to sell their opportunity, or their company, to find talent. But the truth of the matter is that they do need to put effort into recruiting top talent, and the job posting is one of the places where there's room for improvement. A straightforward job title: 64% of job seekers would not apply for a job if they didn’t understand the job title. Not only will a straightforward job title help the job seeker understand the position, it also helps you get found in searches. Top job candidates won’t be searching through every job posting they can find, they will be running detailed searches to find the most relevant positions. Non-standard job titles will likely be overlooked, and qualified job seekers will never even see your posting. A great opening paragraph: Spark the interest of the job seeker and really wow them into wanting to read more and apply. Provide a clear overview of the position, and what’s in it for the job seeker. This is your chance to impress top job seekers and make them want to apply for your position, so also include information about benefits, company culture, and anything else that helps you stand out as an employer of choice. Separate lists of required skills and qualifications, and nice-to-haves: A common mistake employers make is creating an unrealistic list of skills, where it's not clear which are non-negotiable and which are simply desired. This will cause quality candidates to pass over the job completely, because they don't want to waste their time applying for a position where they may not be fully qualified. Performance-based descriptions: When you communicate the realities of the job being listed, cover the day to day responsibilities and focus on the outcomes required, candidates will self-select whether their interests align with the job, helping you get more qualified candidates and less unqualified candidates. For example, say "This position is responsible for making 100 cold calls daily and obtaining 20% client renewals," instead of "2-4 years of Account Management experience required". That way, only those willing and able to perform the job duties will apply. Compensation: This is important to top job seekers who don’t want to waste their time applying and interviewing for positions which are outside of their salary requirements. It’s highly recommended that you provide a range but you should, at least, mention that salary is consummate upon experience and competitive. Location: This is also a big factor in whether or not someone applies. If you live in a large metro area, include the actual city rather than the metro area as some cities can be quite far apart. By leaving this information vague, some job seekers will try to find your location and others will apply without knowing, but top job seekers may not even bother to dig up that information. Also make sure you include if the position works in multiple locations, or travels frequently. You have to think like a top job seeker and make it easy for them to decide to apply at your company, from within your job posting. For more information on job postings, check out our "7 Tricks to an Irresistible Job Description" eBook. 2. Difficult, lengthy application process. Even if you get the job posting right, you may still lose out on quality job applicants if you have a tedious application process. Some employers argue that a difficult application weeds out many job seekers, but what they don’t realize is that it’s the most qualified candidates that they lose. Top job seekers can be very busy, between working a current full time job, networking, interviewing, etc – and don’t feel that a tedious application is worth their time. The best advice I’ve ever heard about the application process is really quite simple: take yourself through your own application process. Ask yourself: if you were looking for a new job and wanted to take your awesome recruitment skills elsewhere, would you find this application worth your valuable time? Make sure that you test any technology you use to see if it performs the way you'd expect. For example, does your ATS parse both Word docs and PDFs? What happens if you step away for 30 minutes - does your technology save the candidate's information, or does everything they've done get deleted? By testing your own application process, you can see if it may be one of the reasons you're not getting quality applicants. If possible, simply ask for a resume, a short cover letter, and maybe a few (easy to answer) questions. Use your job description (not your application process) to weed out unqualified candidates, and use your application process to collect the best ones. 3. 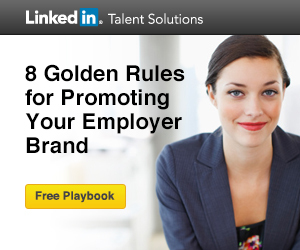 A bad, or non-existent, employer brand. You need to have a great employment brand if you expect top candidates to move from your job description to your application process. Top candidates want it all, and you can’t expect them to settle. They're evaluating your culture, benefits, reputation other factors that relate to their personal goals, such as development opportunities. In fact, a 2012 Employer Brand International survey found that 86% of employees are attracted to companies by development opportunities. The survey also found that 84% of companies believe a clearly defined strategy is the key to achieving employer branding objectives. An employer brand strategy may be best planned by starting with your current employees: what do they value about you most as an employer, how do they describe your company culture, etc? Do an employee satisfaction survey and regularly check Glassdoor and CareerBliss for reviews to make sure your employees like working for your company and feel that they're recognized and rewarded. Keeping your current employees happy is instrumental for retaining them, living your employment brand, and getting referrals from them. Keep in mind that there is no right or wrong elements to include in your employment brand - some people may be looking for work-life balance while others may enjoy the hustle and bustle of start-up culture - just make sure that you're being honest so you don't lose people further down the road. Once you know what your current employees like and dislike about the company, and understand what kind of culture you feel you have, decide if you’re happy with where you stand. If you want top candidates, you may find you need to change a few things. For example, Melissa Meyer at Yahoo saw that "B" employees were hiring "C" employees, and has started making some changes to get her "A" team together. Right away, she gave everyone cell phones, started keeping the lights on later, and provided free lunches in the cafeteria. Most companies will start with basic benefits like medical, dental and retirement savings, and should continue adding new benefits as they can afford them. You can be competitive without offering higher salaries by adding additional benefits such as flex schedules, dog friendly offices, tuition reimbursement, ample PTO, comfortable office spaces, gym memberships, etc. Not only are these are low cost options compared to turnover and hiring cost, but they can help you recruit top candidates. If you offer anything above and beyond your industry standard of compensation and benefits, make sure you mention it in your job postings, and across your other candidate-facing communications, to encourage those top candidates to apply. Once you've built a great employment brand, included it in your well-written job posting, and simplified your application process, don't lose candidates because of a poor candidate experience. For a great candidate experience, communication is key: let them know you've received their resume, and what the next steps are. Also try to keep the process quick - you don't want to miss out on a potential hire because they were swooped up by someone else or turned off by how slowly your company moves. These tips hold true for all candidates, not just your top talent, because they not only help you retain your talent pool, they dictate the future success of your recruitment program. A good candidate experience can help your employment brand and may help you generate referrals, while a poor experience story can travel quickly online and keep future top candidates from considering you as an employer. As you can see, a poor candidate experience can affect more than your ability to hire the single candidate, it can affect your entire company's reputation. So make sure that you're treating all candidates well, regardless of their qualifications for the position - it's not only common decency, it can make or break you.